I recently read the first in the Cherry Pie series – and loved it – so when this popped on to my Kindle (got to love pre-ordering) it had to be devoured before I started anything else!! On the other? Well, apart from being unsure as to whether the rickety old ice cream van will actually make it to the Riviera, she and Wilf had a one-night fling a few weeks ago. Even worse, it seems there’s an unexpected little consequence of their impromptu night together. Life on Cherry Pie Island definitely hasn’t equipped Holly with knowledge of the best way to tell a super-rich entrepreneur with a womanising reputation that he’s about to become a Dad! It was lovely! Like the first book in the series it wasn’t a highbrow doorstop of a book – but was a great, quick, escapist read. 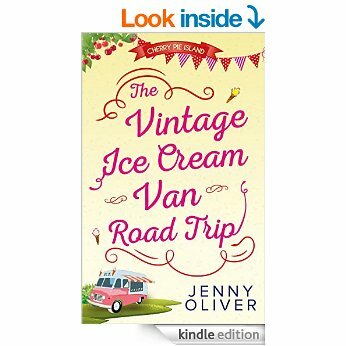 As with all of Jenny’s books – the food descriptions were amazing – and she really evoked the feel of France. Whilst the main characters in book 2 were different to book 1 there were enough cross references for you to still feel involved with life back on Cherry Pie Island. ← Operation Teddy Bear – World Record SMASHED!! !